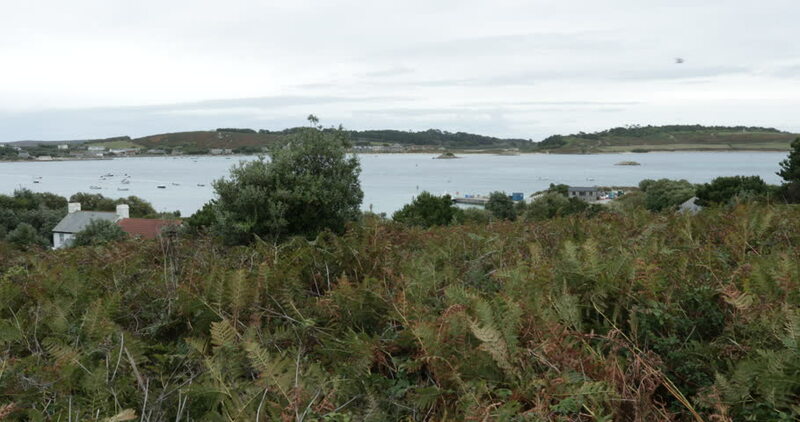 The island of Bryher on the Isles of Scilly. hd00:24Aerial Footage River Delta. Aerial footage of a river delta. 4k00:24A large lake with small islands. Green Forest. The clouds are reflected in the water. Beautiful landscape. Aerial shot. 4K footage.